1 Bedroom Flat For Sale in Sheffield for Guide Price £90,000. Ideal for investment purposes and available for purchase is this one bedroom apartment located in the popular City Wharf development. This property has a long term track record of tenant occupancy and could be the perfect property to add to your investment portfolio, currently boasting a gross rental yield of 6.7% on current rental income. This block is ideally located for all the City Centre has to offer including; both Sheffield Universities, excellent transport links, shops, bars & restaurants and many more local amenities. The flat itself briefly comprises of open plan, but clearly defined, kitchen / living area, good size double bedroom and three piece white suite bathroom. 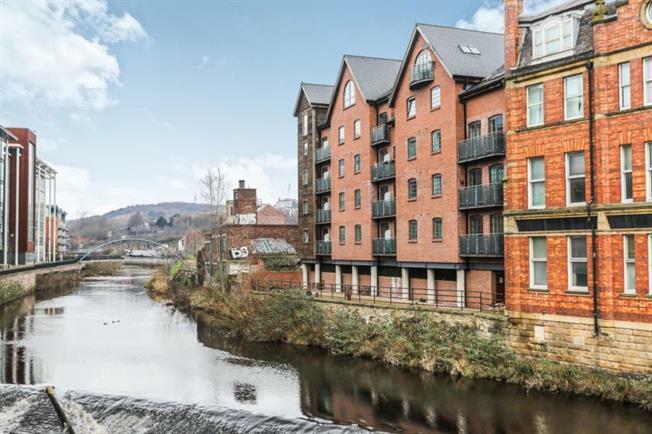 Secure access to the building with intercom access and communal terrace benefiting from pleasant views of the River Don. For further details please contact branch, viewing highly advised.